Please place an order on Wowcher/Living Social before the offer ends. You will be provided with a Voucher code. 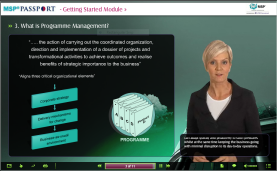 What does MSP® e-Learning contain? MSP® Passport is accredited for both Foundation & Practitioner level study and qualification. You will be provided with the relevant content based on your purchase (Introduction/Foundation/Practitioner). 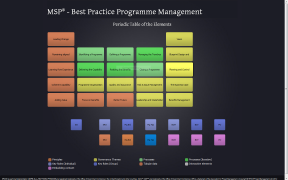 Please note a copy of the MSP® Manual is strongly recommended for Practitioner level study and qualification. MSP® Foundation and Practitioner exam simulations with feedback. To complete the Introduction level competency, we recommend about 5 hours for learning and reflection. 20 hours for Foundation level and about 30 hours (cumulative) for Practitioner level study and qualification. This study will be a mixture of computer-based training using the e-Learning, reference to the MSP® manual and other support documents and completion of the practical tasks and tests. Depending on other commitments, you will require anything from 2 weeks to 6 months to complete this learning. Purchasing this product provides you with a license to use MSP® Passport for a period of 6 months from the date of purchase. During this period the product is supported to ensure that the content is consistent with the method syllabus. The e-Learning and Exams (if any) are valid for 6 months from the date of the initial purchase. Take your MSP® Foundation and/or Practitioner exam online! This exam option is available using your own webcam and microphone (Valid ID required) and allows you to take the exam in the comfort of your own home at a convenient time without the need for a physical invigilator.